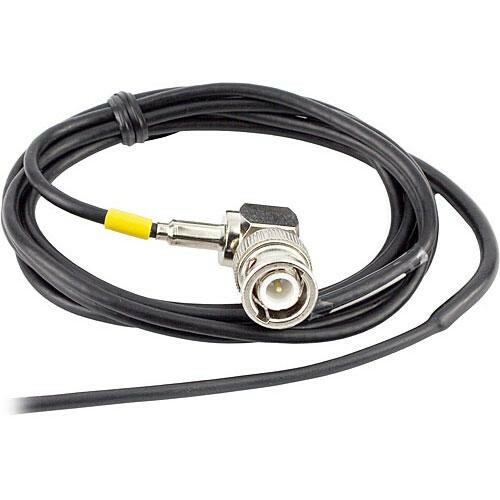 The Lectrosonics ACOAXBNC Right Angled Antenna measures 48" (1.21m) in length and features a 1/4 wave antenna at the tip and 50 ohm, right-angled BNC connector. The antenna is ideal for use with the VR Field receiver in portable "bag" systems. The receiving antenna can be positioned away from the bag (on a shoulder strap) to reduce the effects of radio frequency (RF) noise generated within the bag itself. Note: The antenna must be positioned vertically for maximum effectiveness. It can point upward or downward as long as it's in a vertical orientation. Box Dimensions (LxWxH) 3.6 x 2.3 x 0.2"